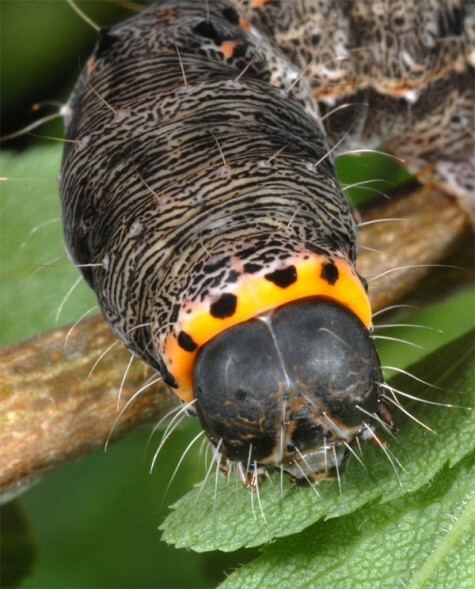 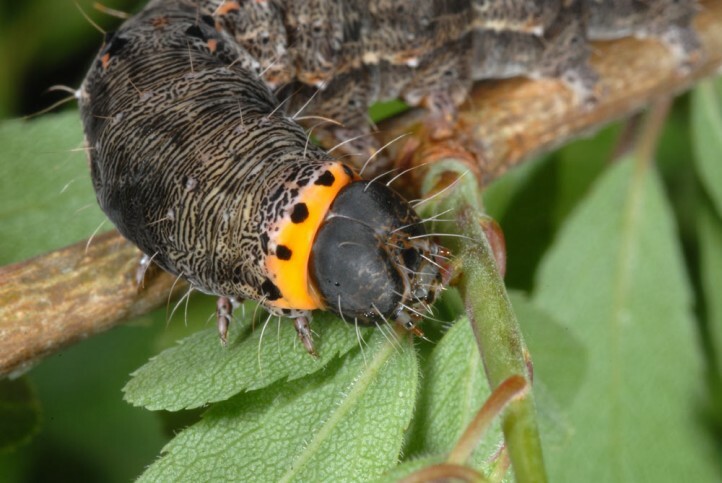 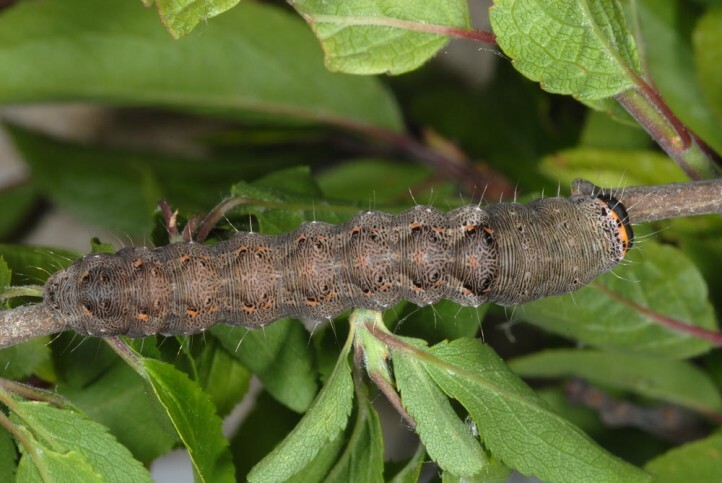 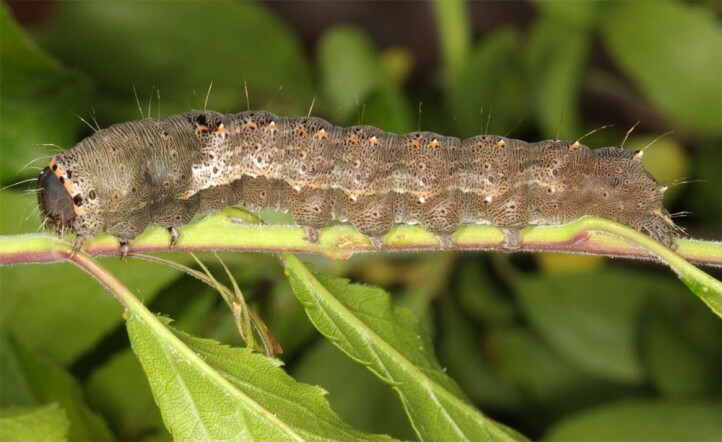 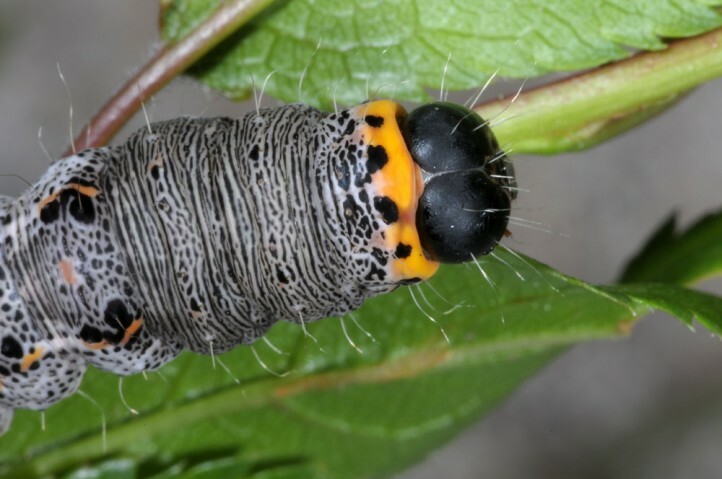 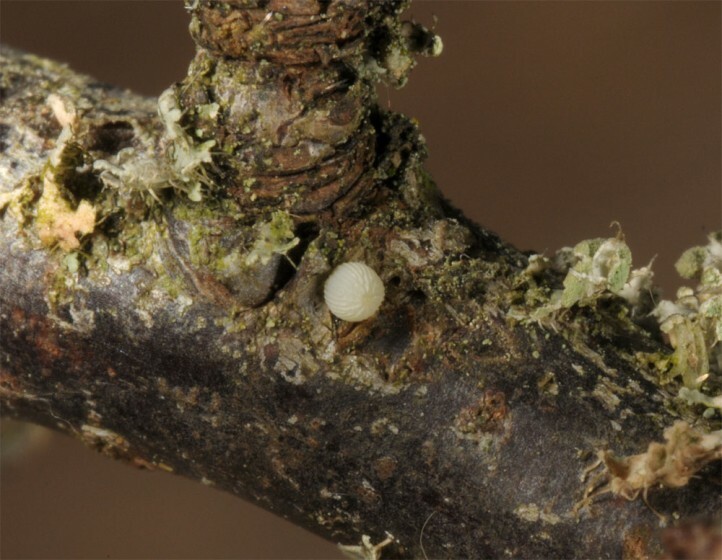 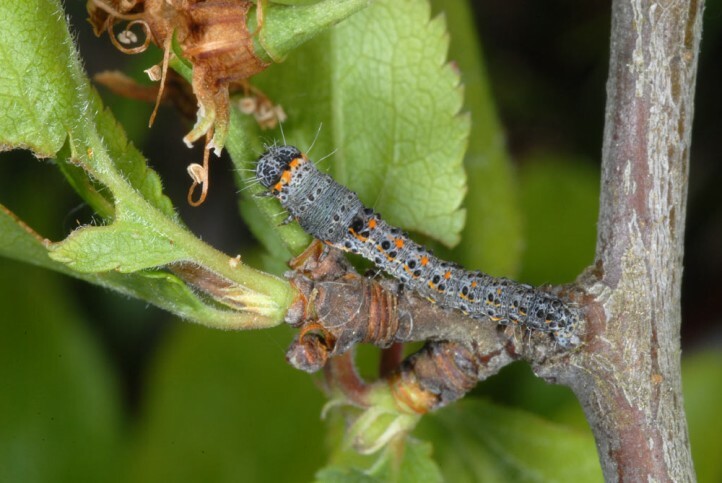 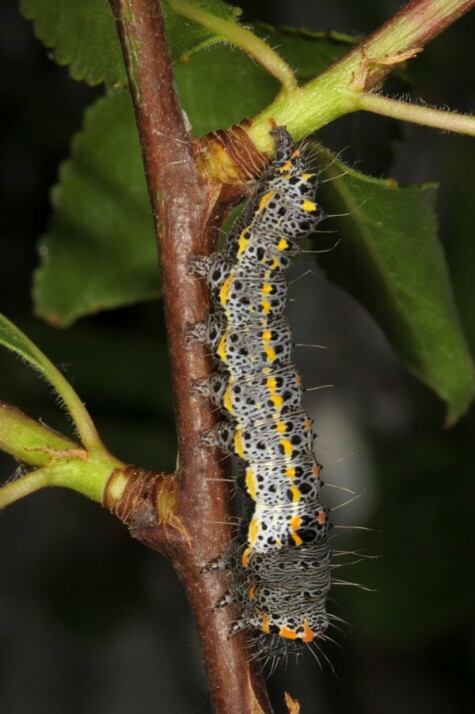 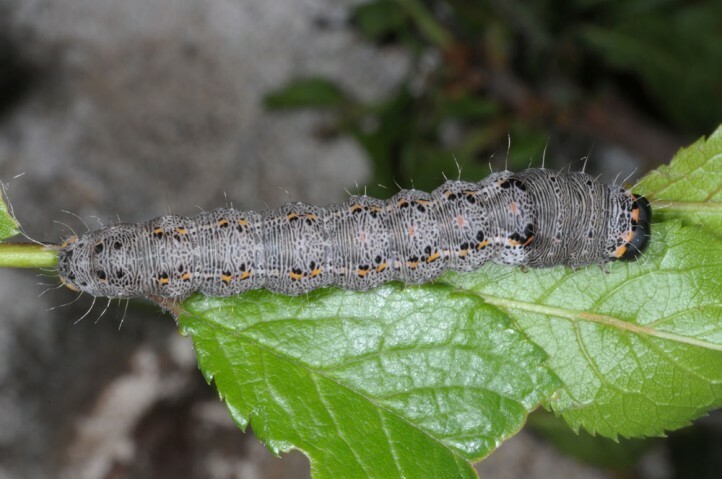 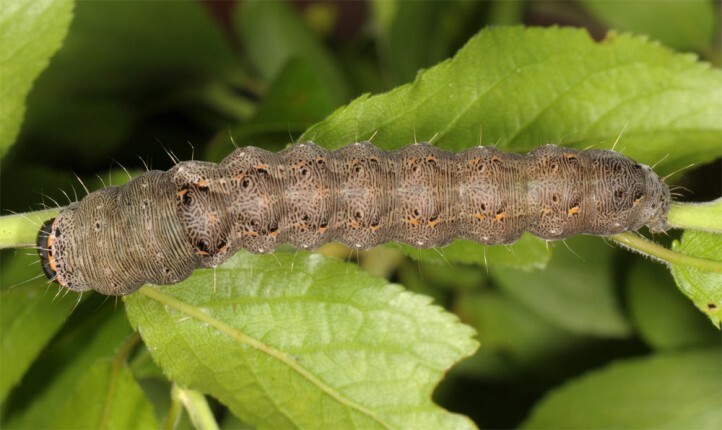 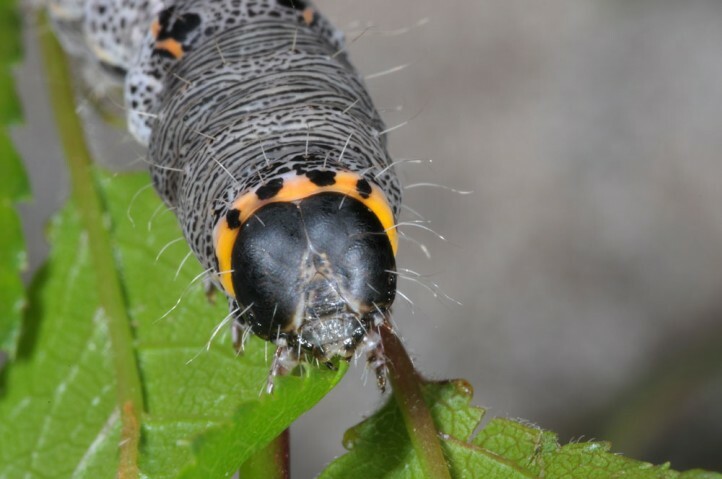 The larvae feed on bushes of the rose family (Rosaceae), especially Prunus spinosa. 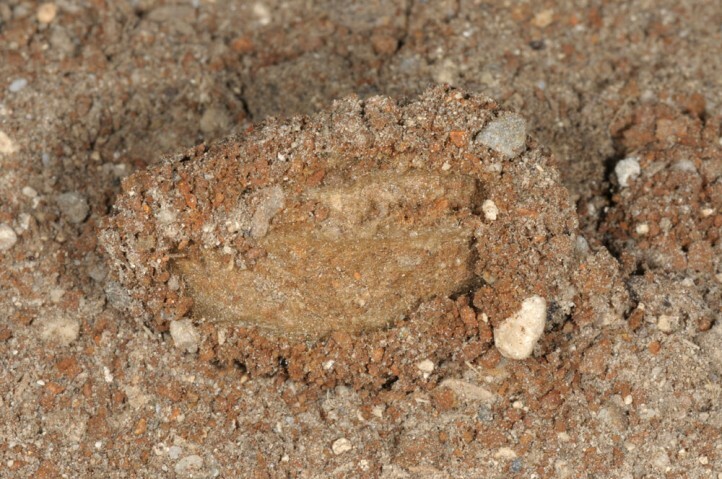 Valeria oleagina inhabits warm and most often also dry shrub communities, e.g. 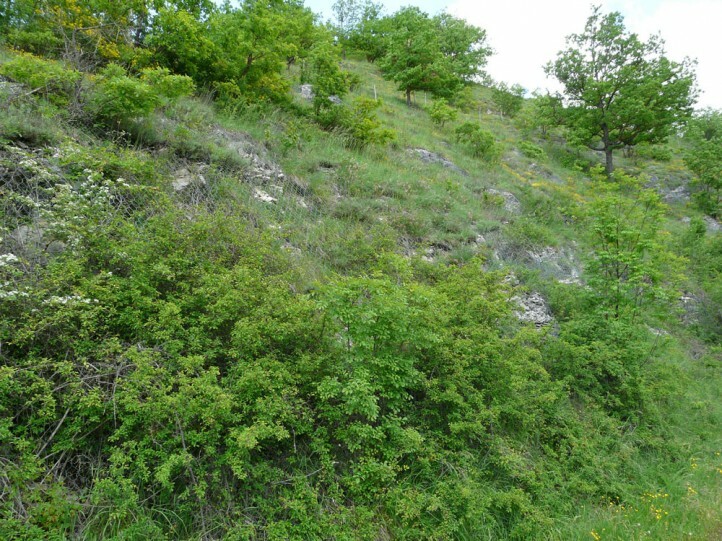 on grazed hillsides. 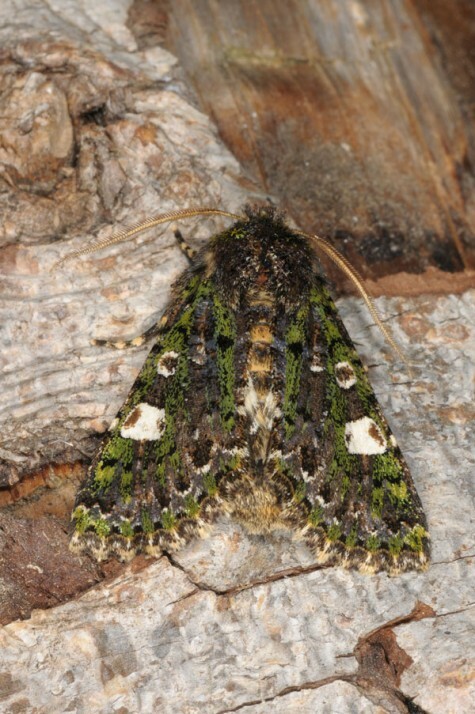 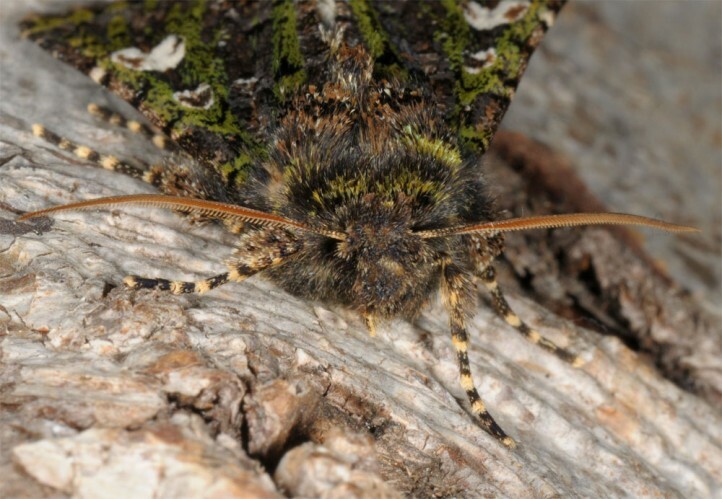 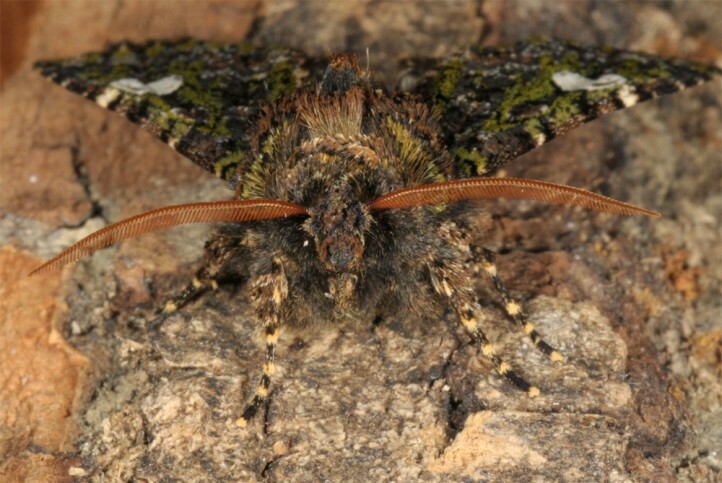 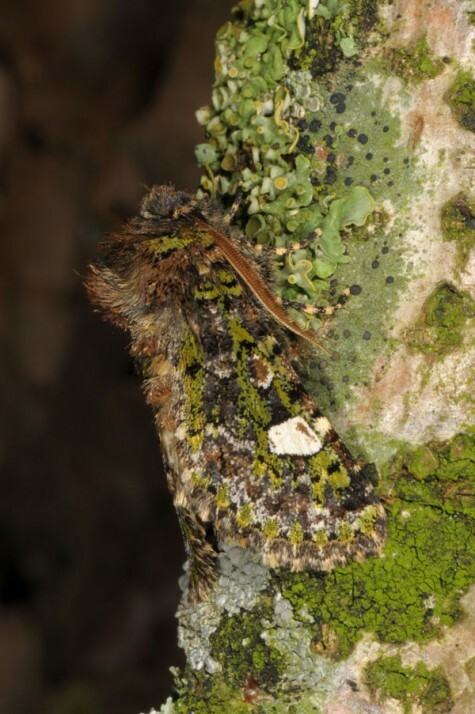 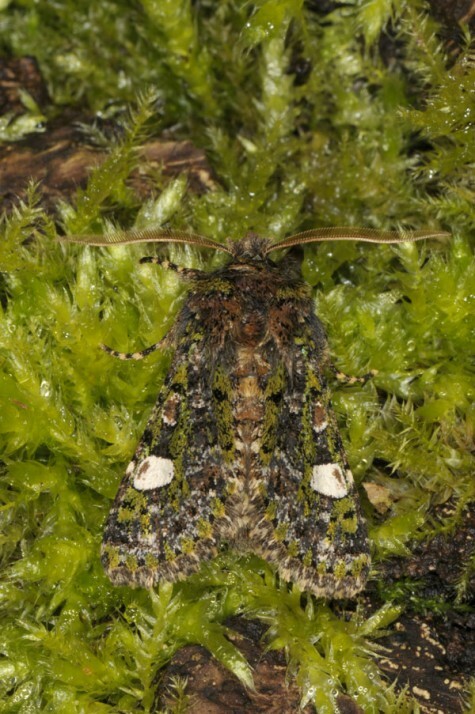 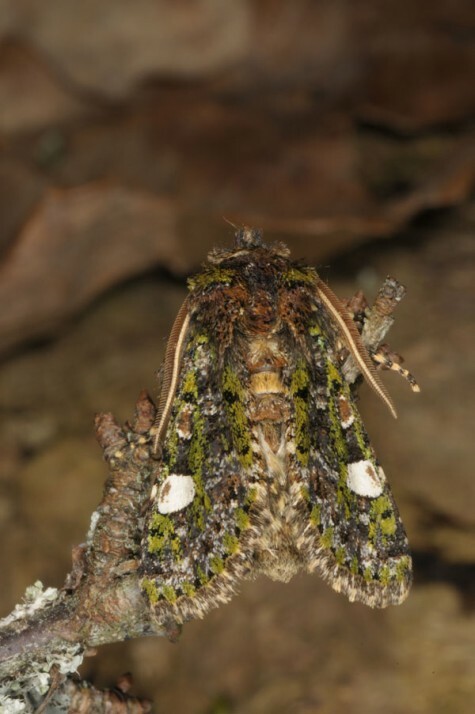 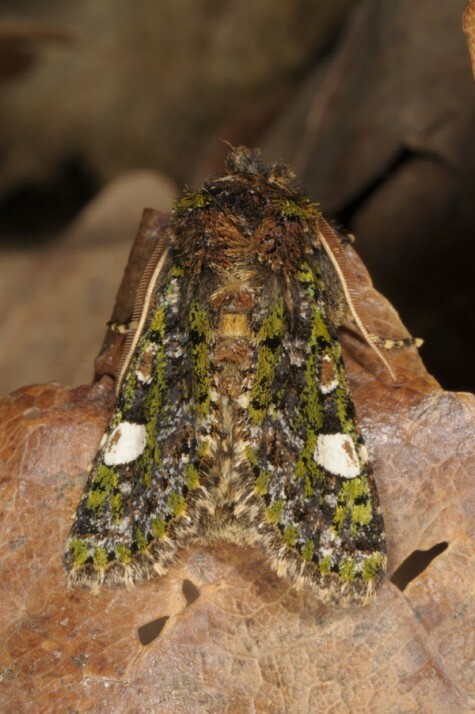 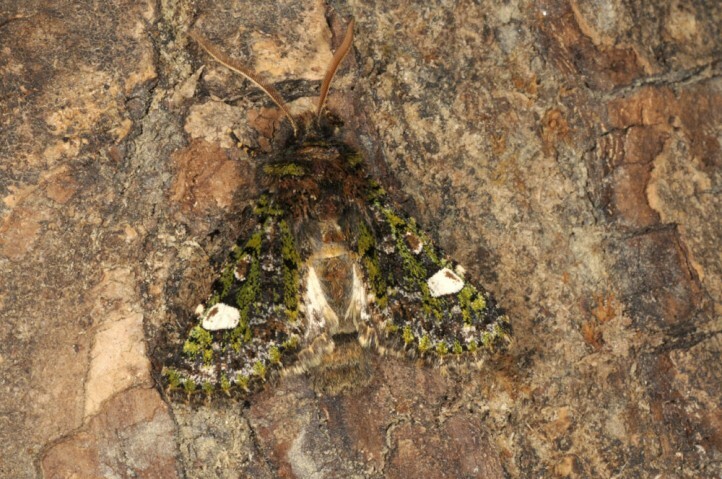 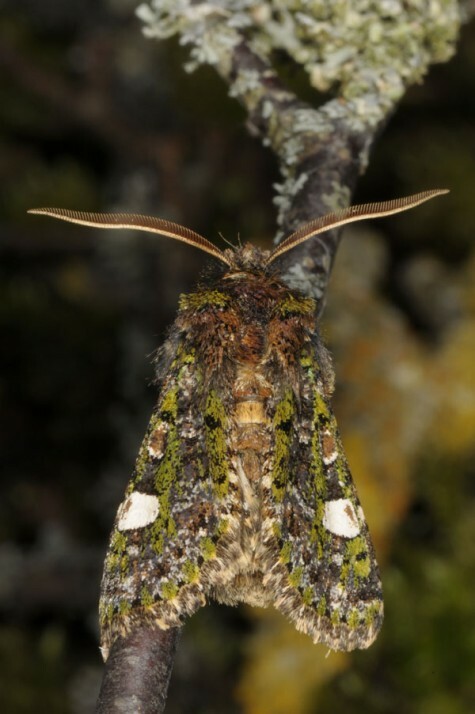 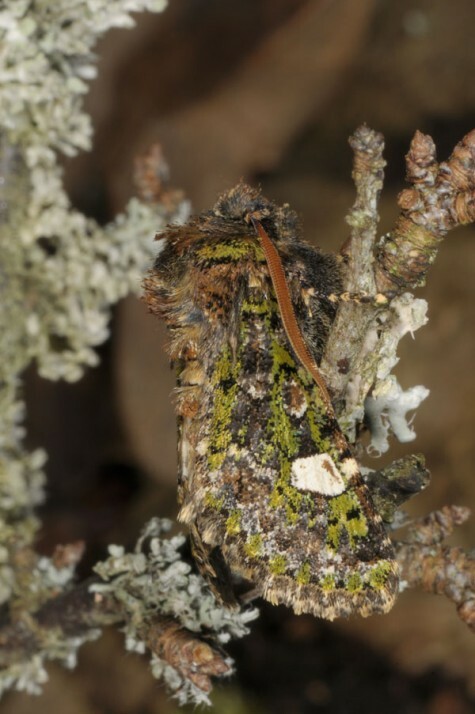 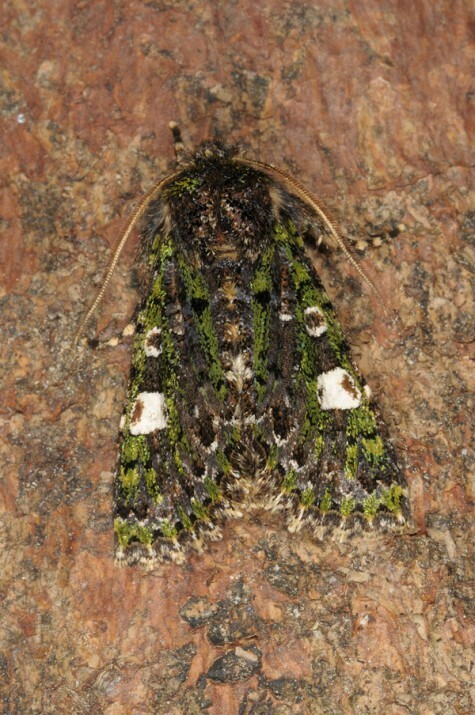 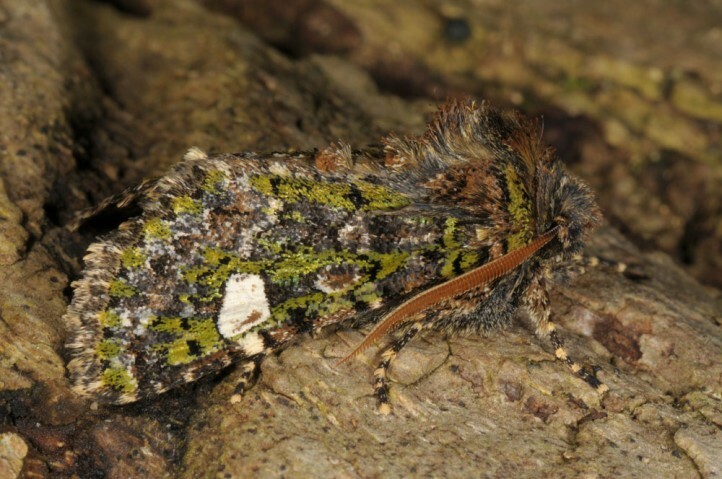 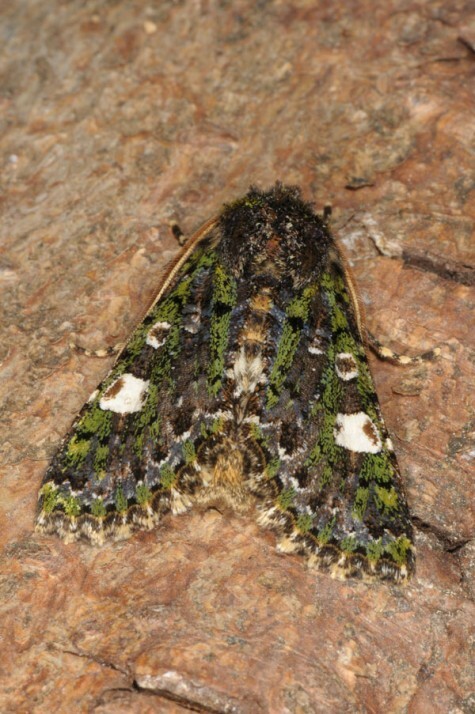 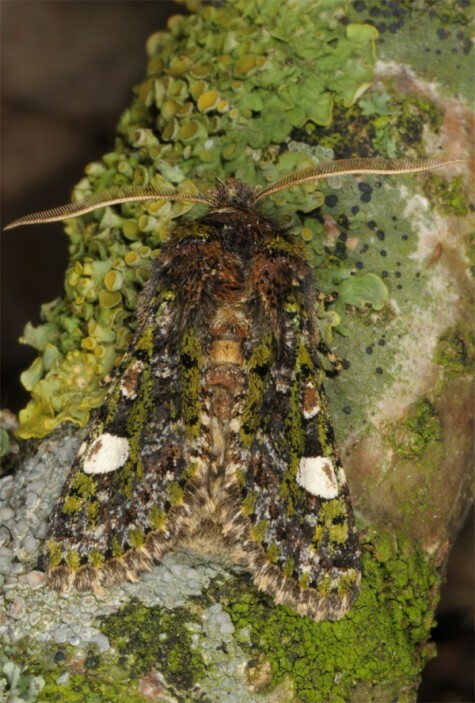 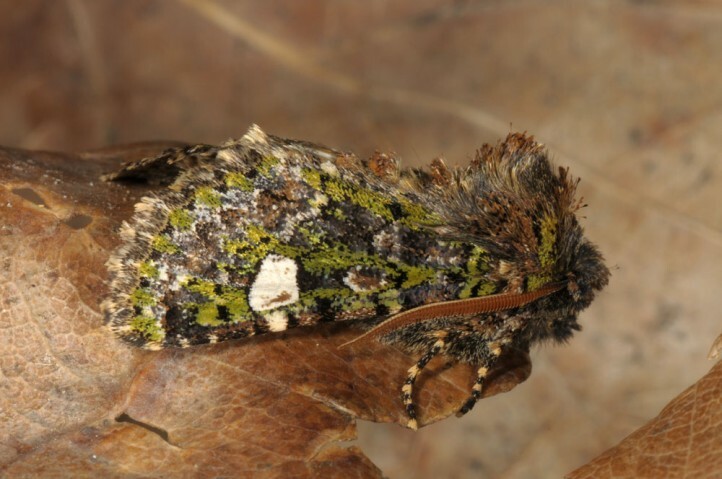 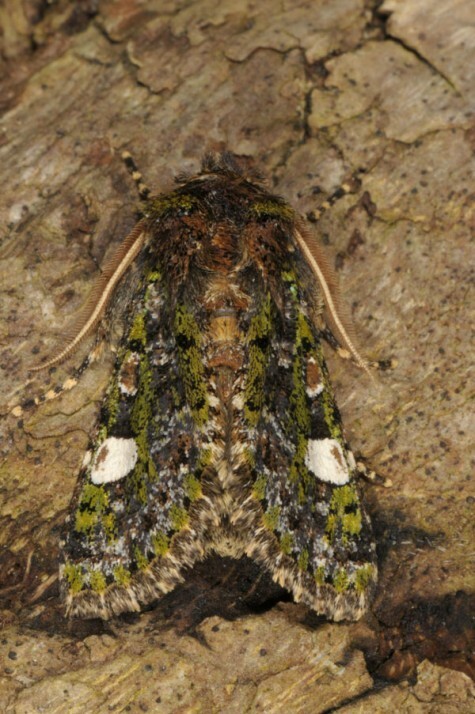 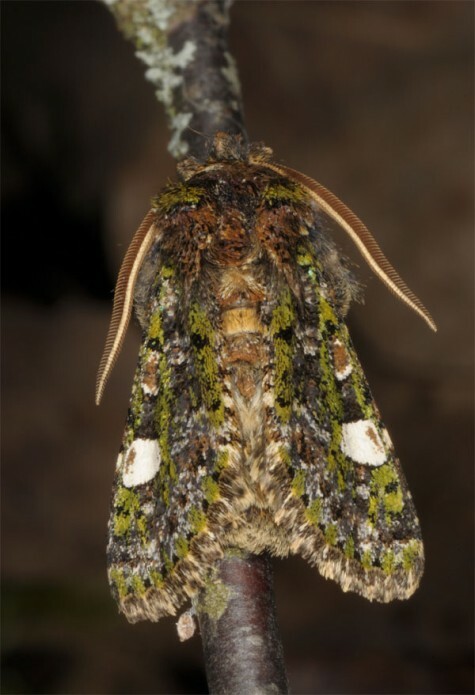 The moths hibernate fully developed within the pupal skin and thus fly quite early mostly between March and April. 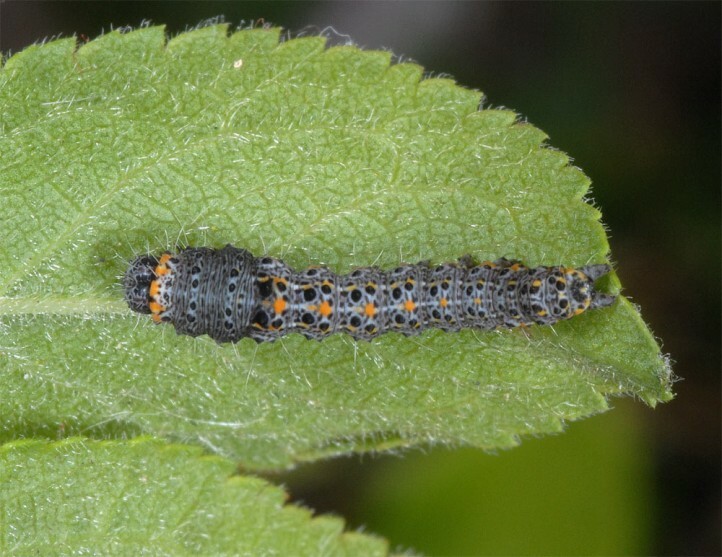 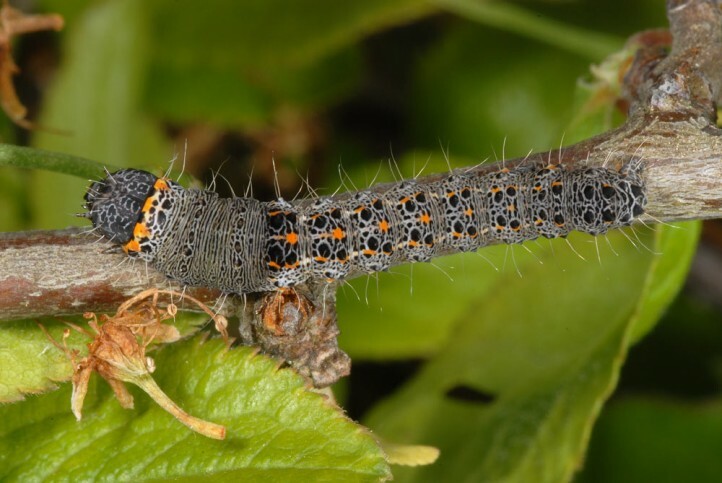 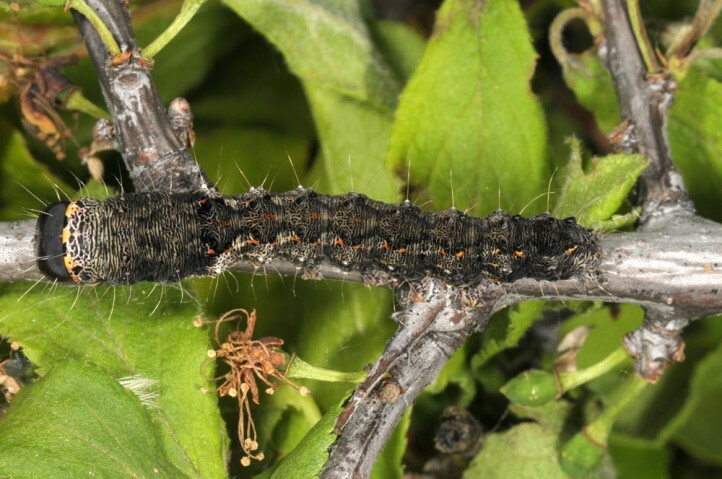 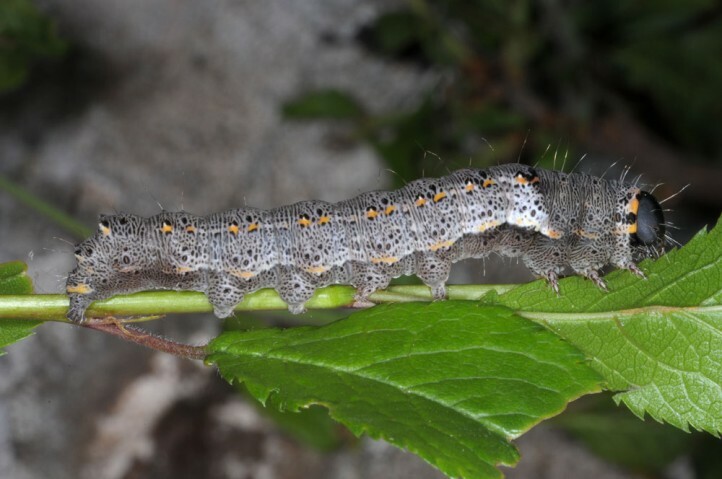 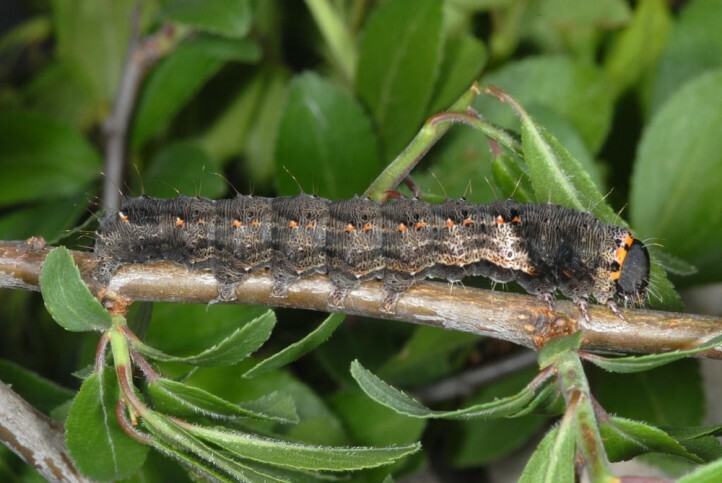 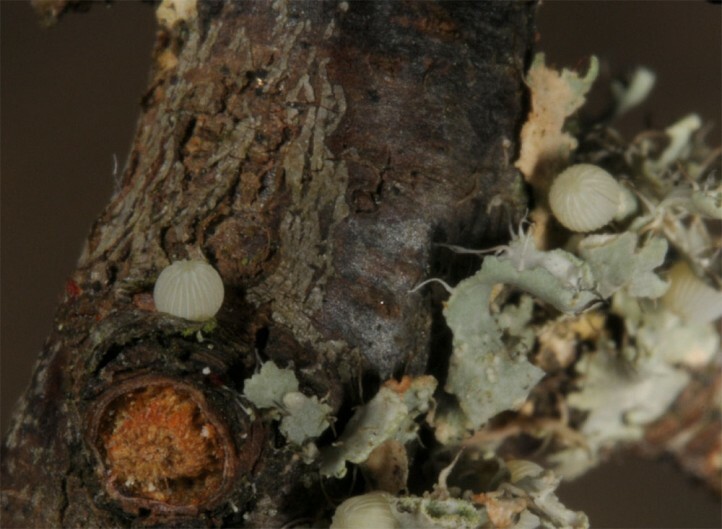 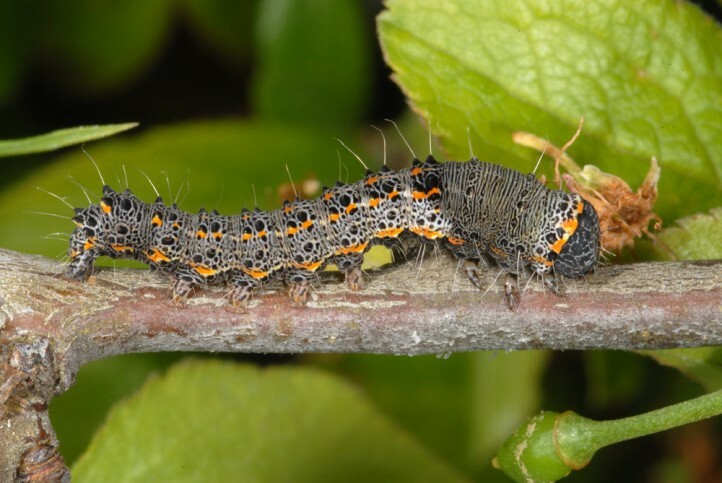 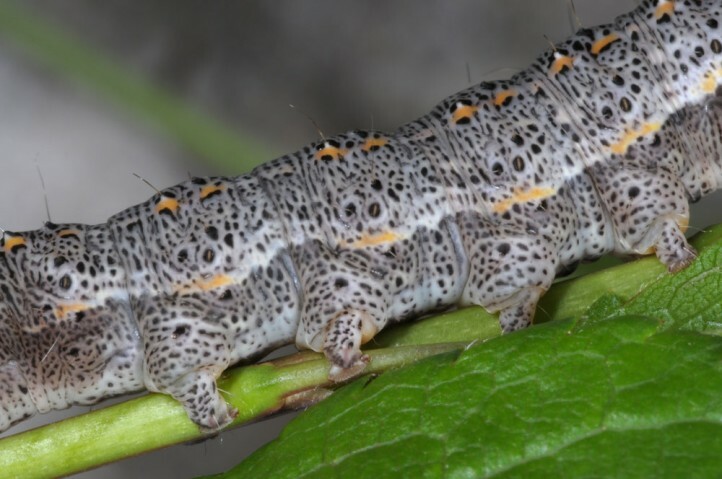 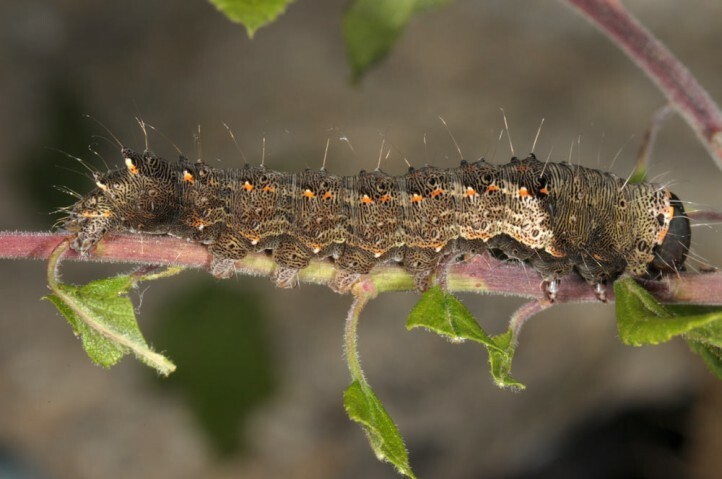 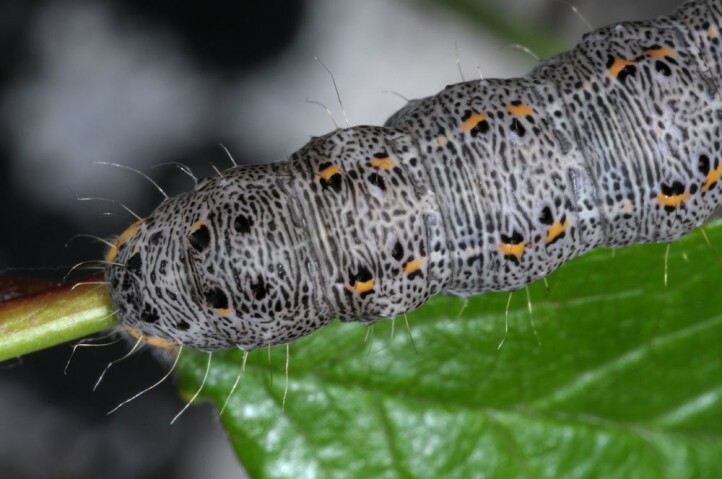 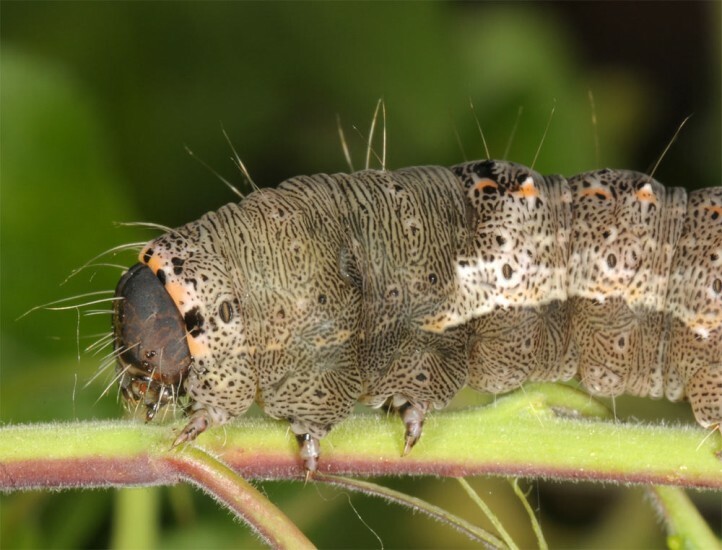 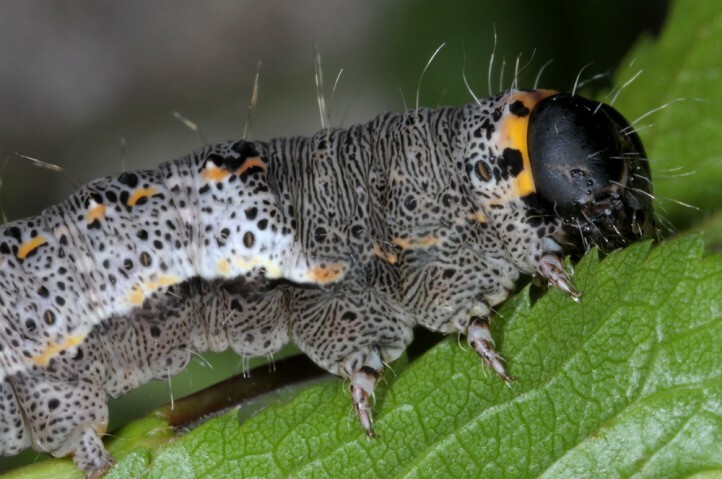 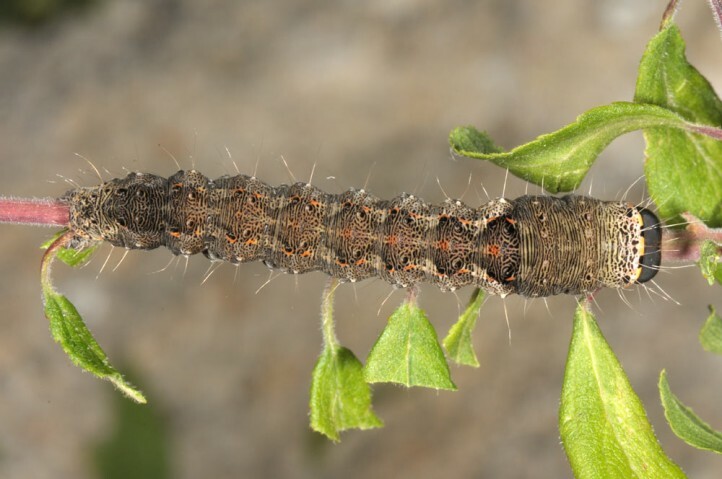 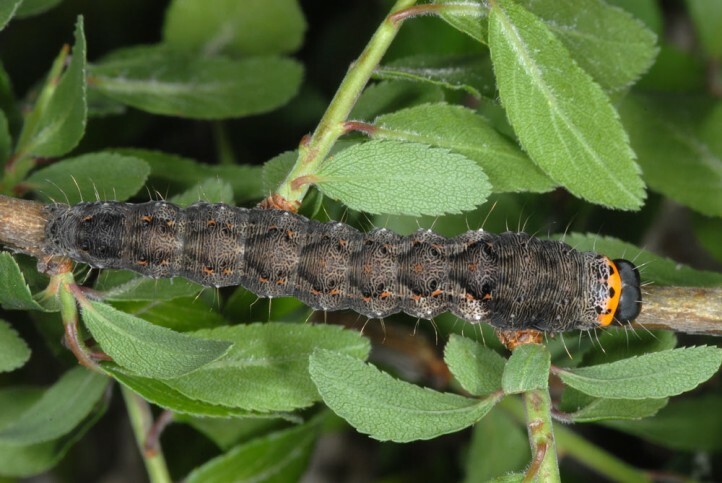 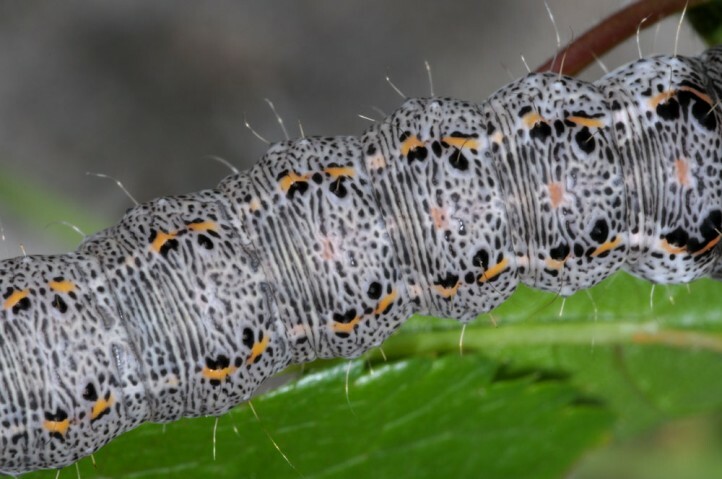 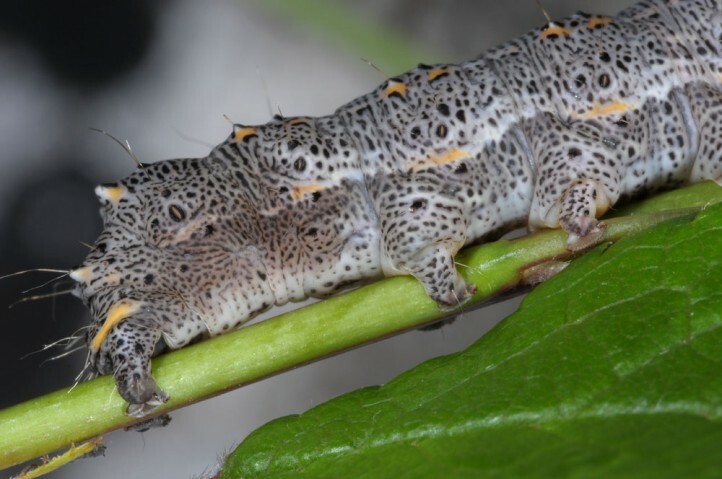 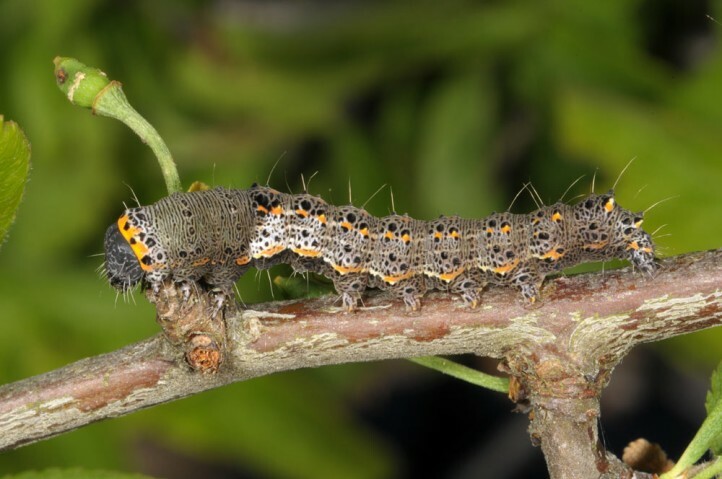 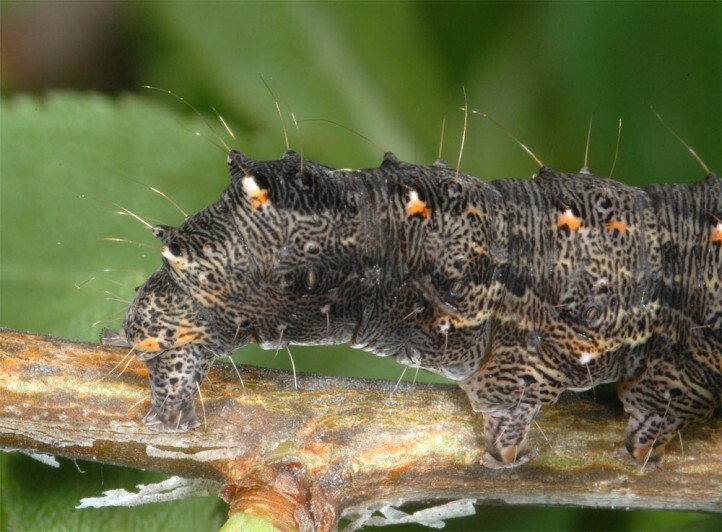 The larvae feed between late April and June. 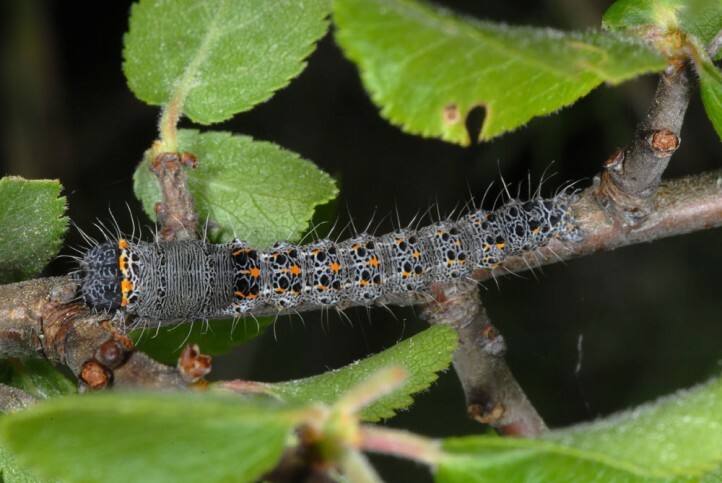 I observed the younger caterpillars in May 2013 (Abruzzes) quite openly on low-growing blackthorn in the heat at the foot of a dry slope. 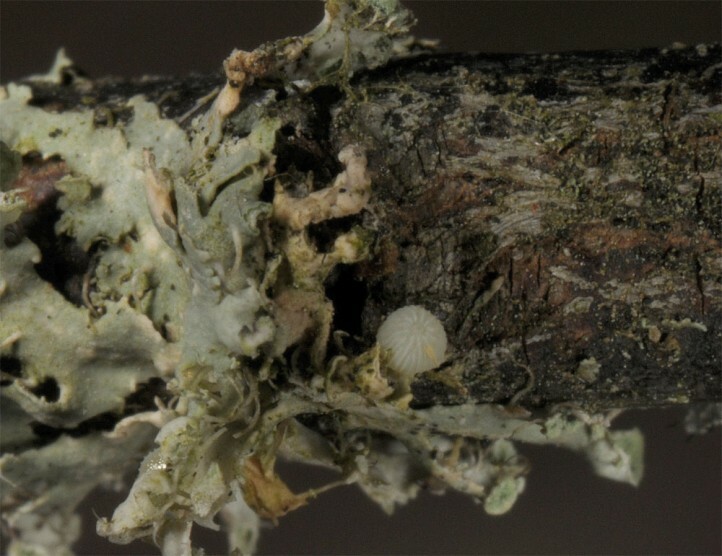 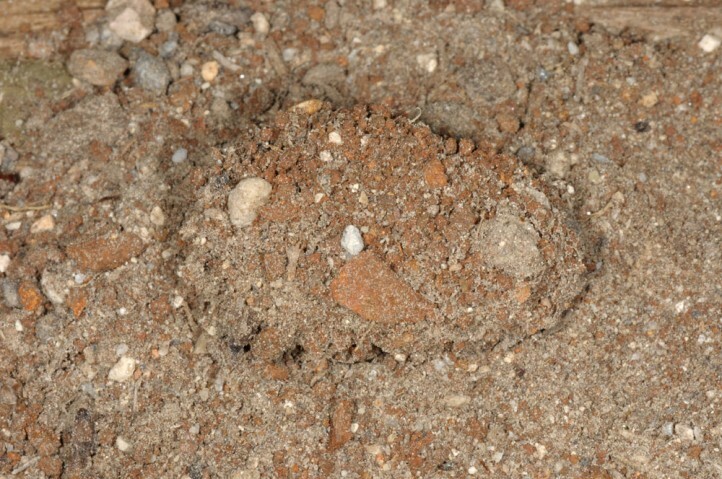 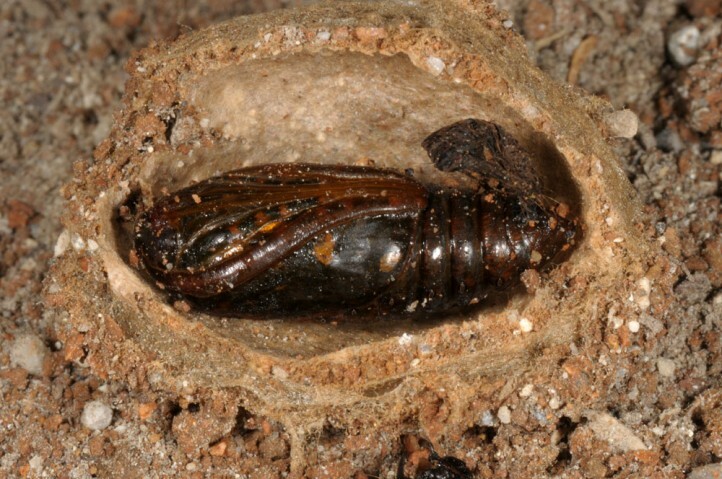 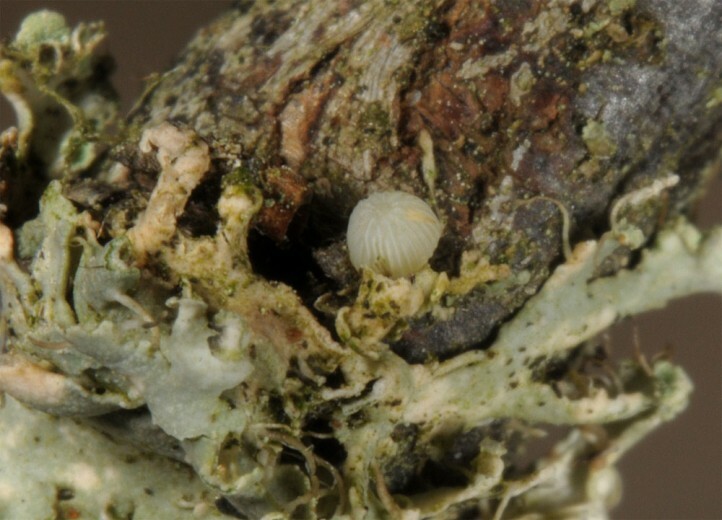 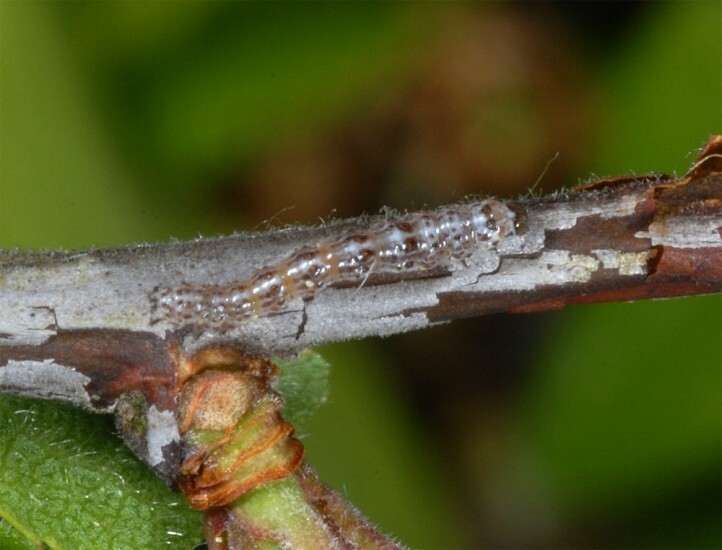 The older larvae tend to hide near the ground ore in the inner of the bushes. 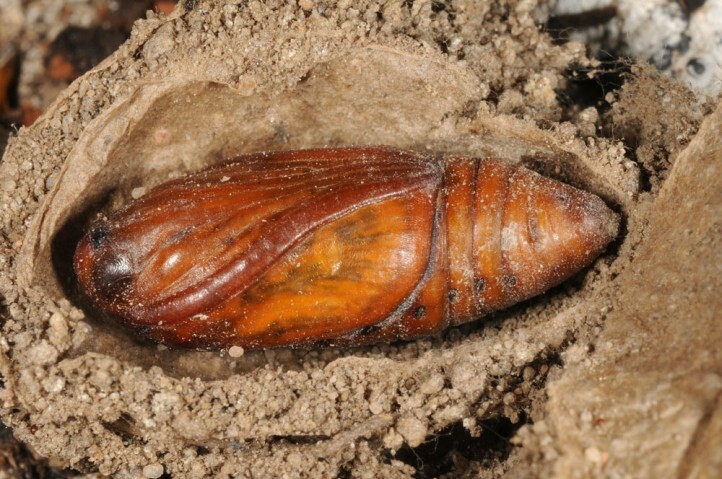 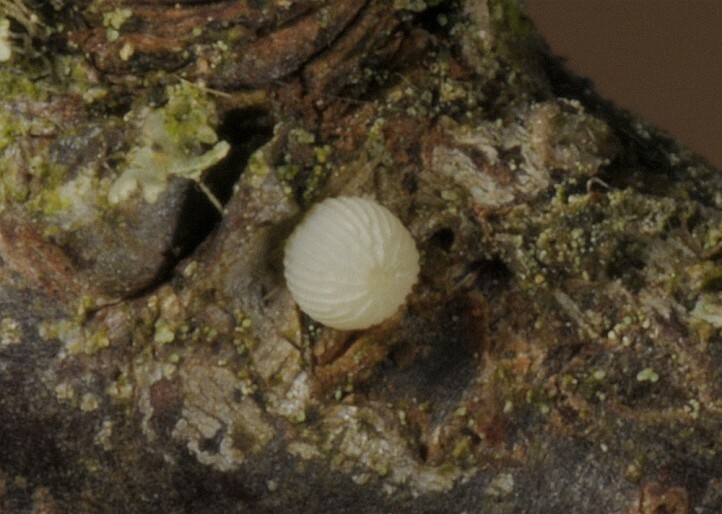 The cocoon has two layers: a loose outer one whith plenty of substrate and a very dense inner webbing. 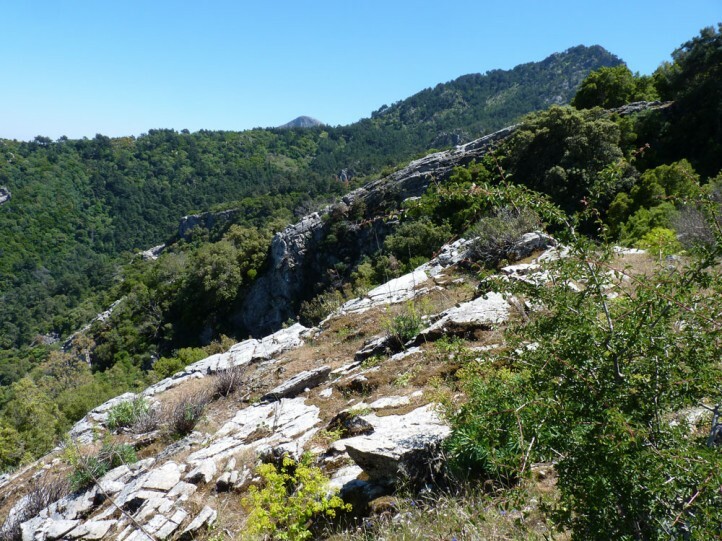 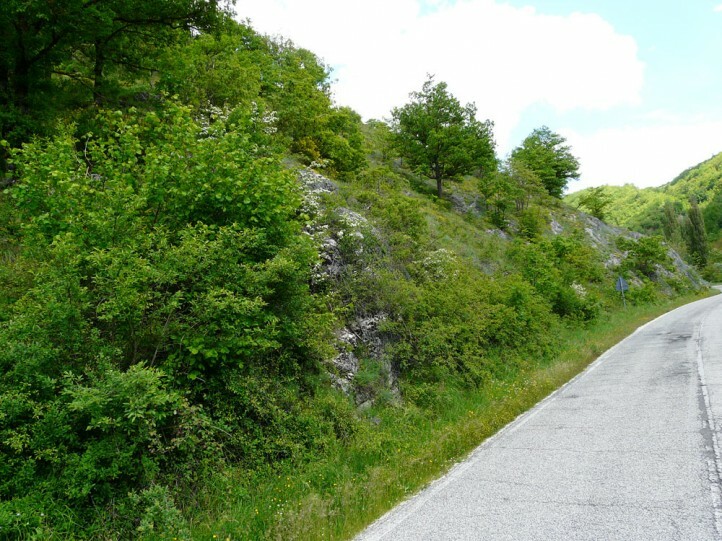 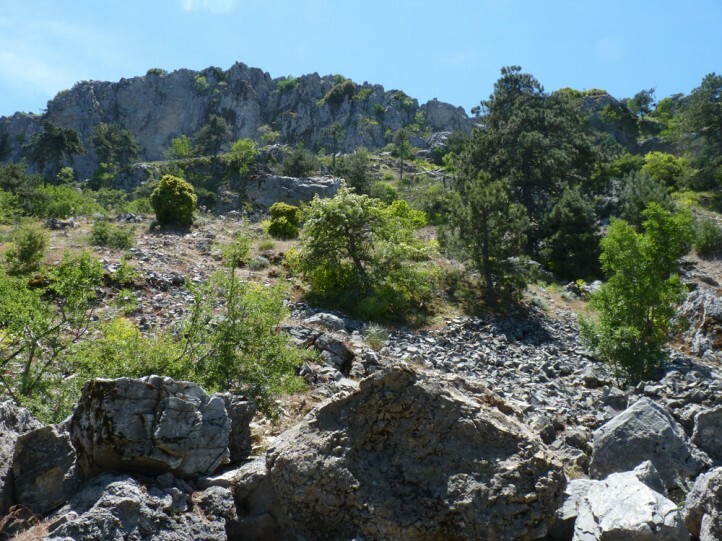 Valeria oleagina is heavily endangered especially north of the Alps because large-scale dry habitats with sufficient Prunus scrub have become quite rare (agriculture, overbuilding). 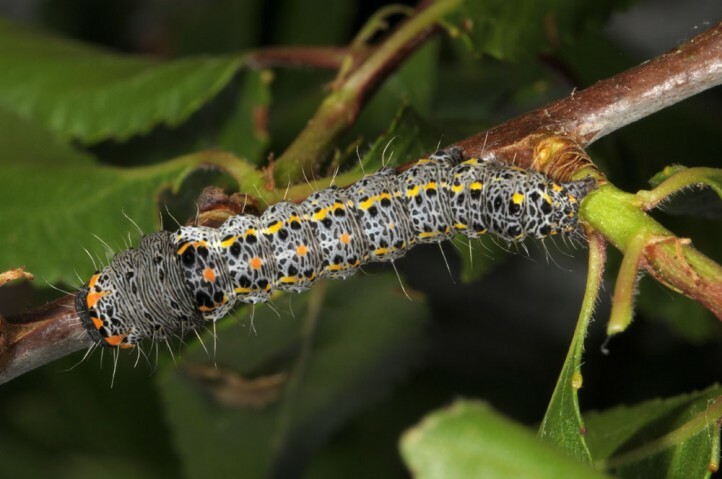 In the remnants Valeria oleagina can even be endangered through nature conservation measures like too intense removal of bushes. 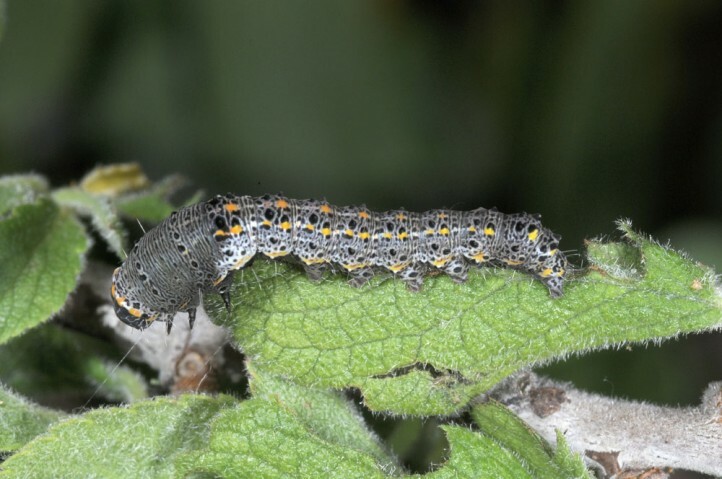 Valeria oleagina occurs from Northern Spain across southern and parts of Central Europe (reches Central Germany in the north) eastwards to Iran.